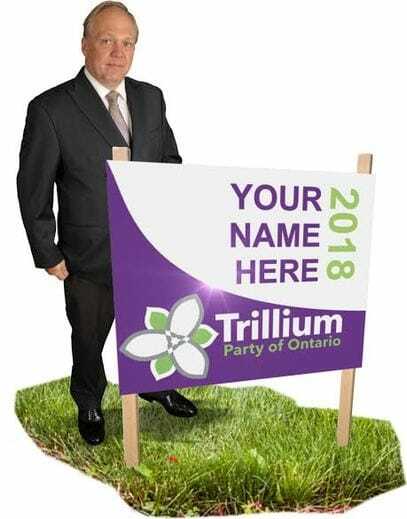 Hi, I’m Bob Yaciuk, Leader of the Trillium Party of Ontario. I am inviting you to consider being a candidate in the next election scheduled to be held in 2018. Having been involved in politics, in some capacity or another for most of my life, I can tell you the many amazing highs mixed with a few lows that have been one of the most rewarding contributions to my life. Being a candidate means a commitment to being true to you and your constituents’ values. Our platform is founded on “common sense” values and “common good” goals. When it comes to any personal conscience issues, the Trillium Party WILL NOT whip your vote or censor your ideas. thought out responses to queries, and above all, maintain a sense of respect toward all, friends AND adversaries. If this sounds like it might be for you and you wish to pursue this idea, please complete and submit the form you see to your right to get in touch. TIME TO MAKE A DIFFERENCE…GET INVOLVED IN….SOMETHING DIFFERENT, SOMETHING BETTER!